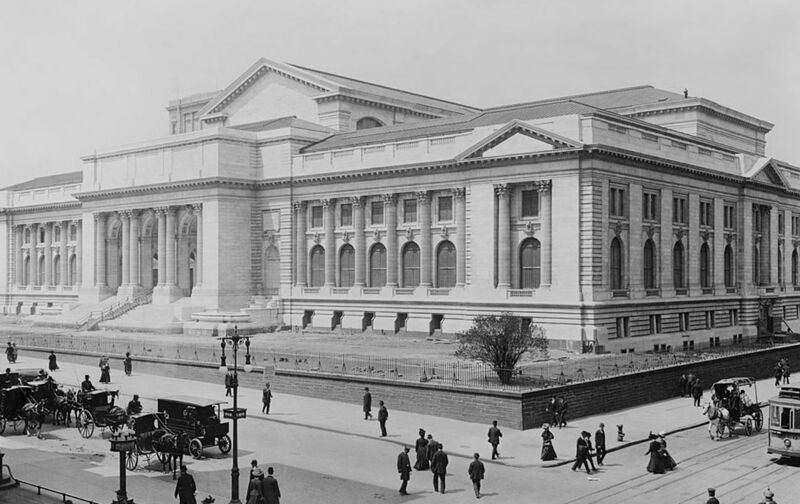 If there were any additional proof needed that the New York Public Library is currently delinquent in its historic mission, reading The Nation’s review of the building when it opened on this day in 1911 should suffice. No longer does the 42nd Street Library feel particularly interested in serving the needs of “the research student,” as the magazine observed of it back then; no longer does the ordinary visitor feel in “direct communication with the stacks.” In 2011, just over a century after the building’s opening, The Nation’s Scott Sherman reported on the Central Library Plan, which would have gutted the original stacks celebrated in the magazine’s 1911 article and turned the flagship building into more of an Internet cafe than a space geared to the needs of the serious researcher and scholar. In May 2014, under pressure from the public, and to no small extent as a result of Sherman’s investigations, the library aborted its plans. But in a deeply cynical and vindictive gesture, it has refused to return the millions of books it hastily removed from the stacks and shipped off-site; moreover, the Reading Room has been closed for a year after a piece of plaster fell from the ceiling last May. The Library said it would re-open in two weeks, then six months, and then in October postponed the date until the spring. Well, the sweat stains on my T-shirt indicate that spring has largely come and gone, and still the Reading Room remains closed. Who knows what they’ve been up to in there? Robert Moses made a habit out of quickly demolishing structures that were in his way, because even if the action created an public uproar, by the time that happened it was much too late. Needless to say, these paranoid speculations are entirely my own. In any case, The Nation’s 1911 celebration of a public library free from onerous “red tape” now seems as much a relic of the distant past as the library’s current trustees have deemed the ordinary paper-and-glue book. To the scholar and to serious readers generally, the opening, on Tuesday of this week, of the beautiful new building of the New York Public Library, was a significant event. A study of the floor plans of the building, and a journey through it, disclose at once the cheering fact that much thought and care have been spent on the needs of the research student. A distinctive feature of the plan consists of the close relation of the book stacks to the main reading room, which is here placed directly above the stacks. This arrangement not only provides better air, and more light and quiet in the reading room, but also gives the most direct communication with the stacks. The ordinary reader will find his needs best served in this main reading room, on the third floor, which is easily reached by passenger elevators. Here, in a noble room nearly 300 feet long by 75 feet wide, and with a seating capacity of 768, the reader will find twenty-five thousand volumes of reference books ready to hand. Here also he may have brought to him any book in the building. He may have generous space in which to use his books at the well-lighted tables, the service being as free from irksome red tape as is possible in a large library.